Sinn Féin Cllr. Thomas Gould of Cork North Central, is calling for the urgent repair of the street lighting on Cathedral Road. For the past four nights there has been no public lighting on a large part of Cathedral Road. Cllr. Gould contacted the ESB and Cork City Council on the matter as he fears that the lack of public lighting could result in an accident due to the fact that it hinders drivers to see not only oncoming vehicles but pedestrians also. With the dark winter nights already approaching, local people especially the elderly are somewhat intimidated walking home without the public lighting. Cllr. Gould considers this to be an urgent matter and requests that the works be carried out with immediate effect. This is not the first time that Cllr. Gould has highlighted the issue of the lack of public lighting as he previously raised the issue for the residents of The Glen. Cllr. 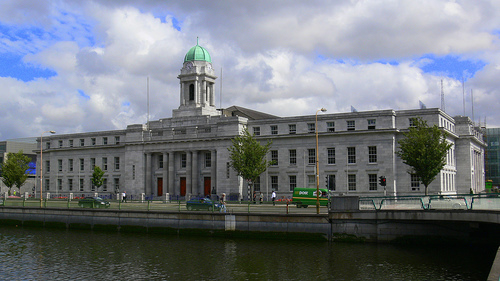 Gould calls on the City Manager Joe Gavin to tackle the management of the ESB and reduce the amount of money Cork City Council pay the ESB if the public lighting is not going to be maintained effectively.